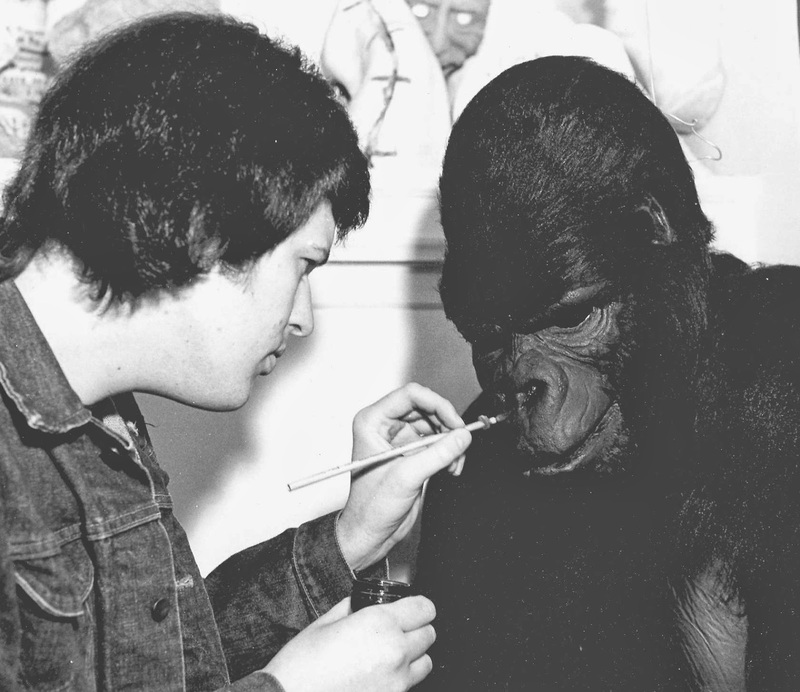 Hollywood Gorilla Men: David Ayres...Mask making monkey man ! Close Encounters of the Third Kind !...Something Wicked this Way Comes !....Battlestar Galactica! What do these all have in common ? 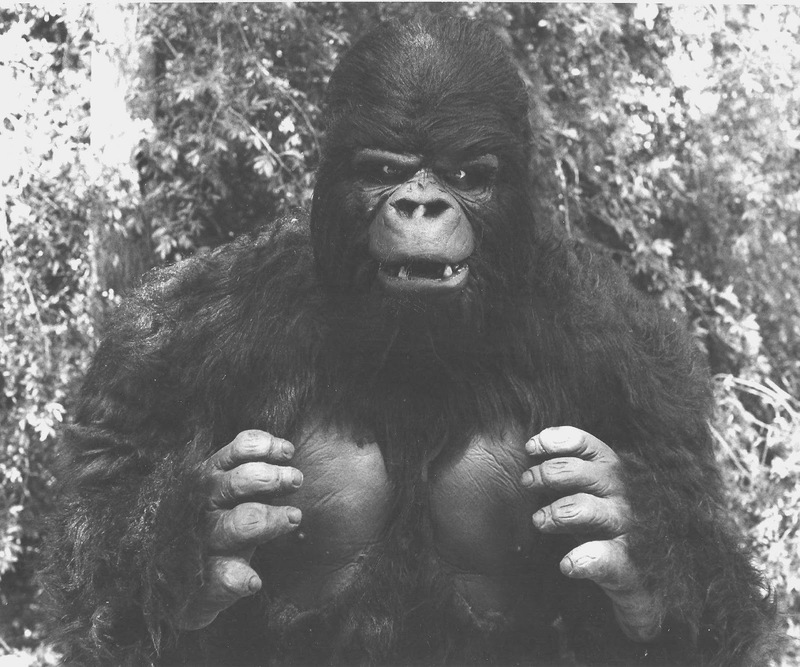 They all feature the amazing masks and makeups of special effects makeup artist David Ayres. David is a California native,who grew up in Arizona. With a life long fascination with movie monsters and makeup he soon found himself headed to Hollywood to pursue his dreams. Early in his career landed at the starting point for many a young makeup man, Hollywood's famous Don Post Studios. 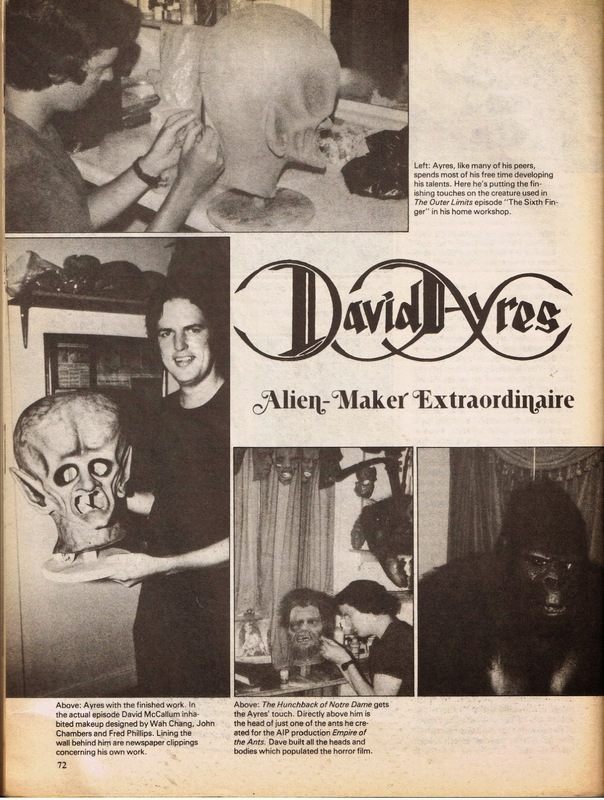 During his time at Don Post Studios, David worked on a few of the masks that Post is legendary for, sculpting and making molds for quality masks, and special projects. Also, helping to create the Star/Trek mask line from which came the Captain Kirk mask (The Shape) used for John Carpenter's film Halloween. 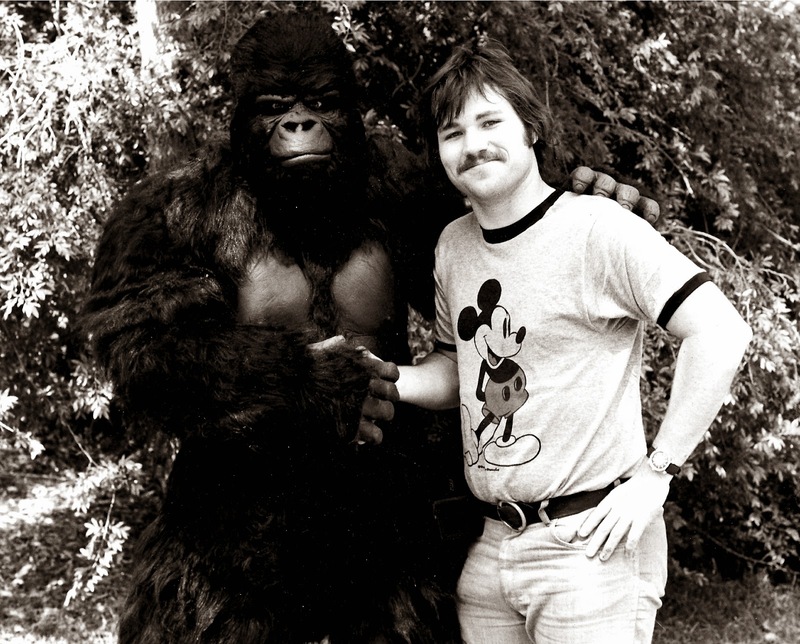 While at Post, David also befriended our last featured gorilla man, Steve Neill. 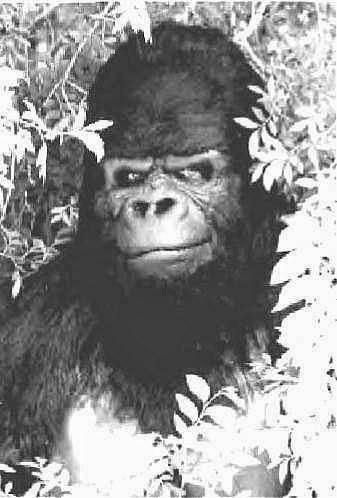 Just as Steve did, David also heard the call of the jungle and proceeded to build his gorilla alter ego, "Link ". Link is a mischievous looking fellow, with loads of character. It was these qualities, that lead to David as "Link" to be cast in a Kool-Aid commercial shown nation wide in 1976. Here is Link, stalking the wilds of Griffith Park in a series of photos taken by Paul Gentry. Link and Davids good friend, Paul Gentry in 1976. Steven Spielberg's speculative science-drama Close Encounters of the Third Kind. Next, He was hired by Charles Band to create the creepy likeness mannequin masks in the cult classic Tourist Trap. While still in his early Twenties, David had a two page article about himself, in Starlog Magazine. The finished version of Davids War of the Worlds Martian can be seen below. David channels his inner, Charles Gemora !!! 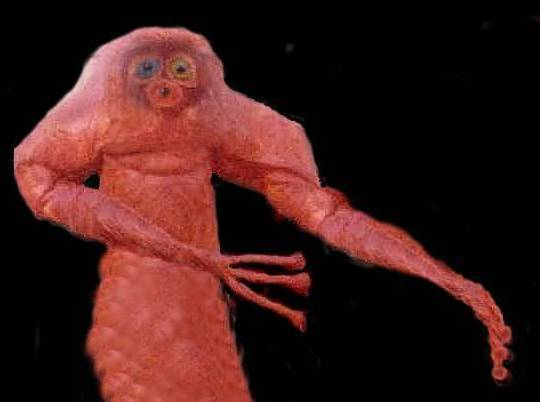 Tell him, Bongo sent you !